8g amino acid blend, zero added sugar, 5g carbs. Hitting the gym day in and day out demands intense energy and recovery support. The 22 fl oz in this bottle give you just that in one uniquely powerful serving. So whether youre supporting muscle recovery, improving bests, or pushing endurance, this bar setting combo of caffeinated energy and free form amino acids will spot your best efforts. 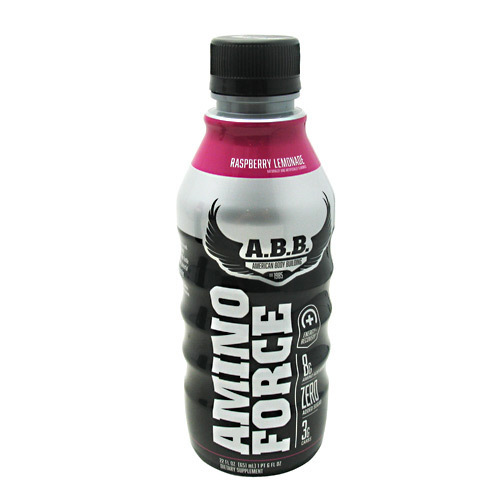 Directions: Drink 1 bottle of AMINO FORCE before, during or after your workout. Warnings: Consult your physician before using this product if you are taking any medications or are under a physicians care for a medical condition. Not for use by those under the age of 18, women that are pregnant, trying to get pregnant, or nursing, or those that are sensitive to caffeine or beta-alanine. Do not consume caffeine from other sources while taking this product. As too much caffeine may cause nervousness, irritability, sleeplessness, and occasionally rapid heartbeat. Beta-alanine may cause a harmless, temporary tingling or flushing sensation.